Thermal comfort is a prerequisite for quality rest. 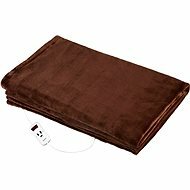 The heated Imetec blanket will warm you up quickly with 6 levels of power to suit your individual needs. 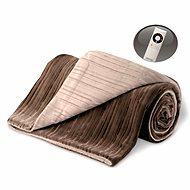 In addition, the blanket uses innovative INTELLISENSE technology to ensure a constant temperature based on the changing environment temperature and your body temperature. 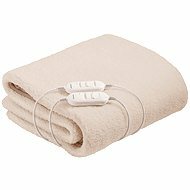 Of course, you can set the automatic switch off as well as wash the blanket in the washing machine . Automatic shutdown, Laundry option, Timer Done! For shipping to other EU countries visit this page Imetec 6877 RELAX Intellisense. Für Versand nach Deutschland, besuchen Sie bitte Imetec 6877 Intellisense Relax. Chcete doručit zboží do Česka? Prohlédněte si Imetec 6877 RELAXY Intellisense. Chcete doručiť tovar na Slovensko? Prezrite si Imetec 6877 Relax Intellisense. Für Versand nach Österreich, besuchen Sie bitte Imetec 6877 Intellisense Relax. Magyarországra történő kiszállításért tekintse meg ezt a termékoldalt: Imetec 6877 Relax Intellisense.